LILONGWE, Malawi, Nov 30 2015 (IPS) - In the last few years, Malawi has successfully managed to reduce infant and under five mortality. But reducing malnutrition, which affects an estimated 1.4 million children, continues to be a costly challenge for the country. A 2015 report by the Government of Malawi, the World Food Programme (WFP) together with other UN agencies, and the African Union, estimates the total annual cost associated with child malnutrition at $597 million – an indication that chronic food and nutrition insecurity are still prevalent in the southern African nation. To change the alarming malnutrition rates, the Government of Malawi and the United Nations Food Agriculture Organisation (FAO) have come up with several initiatives anchored on increased agriculture production to improve nutrition. Erica Maganga, Secretary for Agriculture, Irrigation and Water Development, tells IPS that the role agriculture plays to fight all forms of malnutrition is inescapable. “Prevention is better than cure and agriculture is key to reduce malnutrition for all ages and help reduce the cost of treating malnutrition,” says Maganga. FAO resident representative in Malawi Florence Rolle agrees. 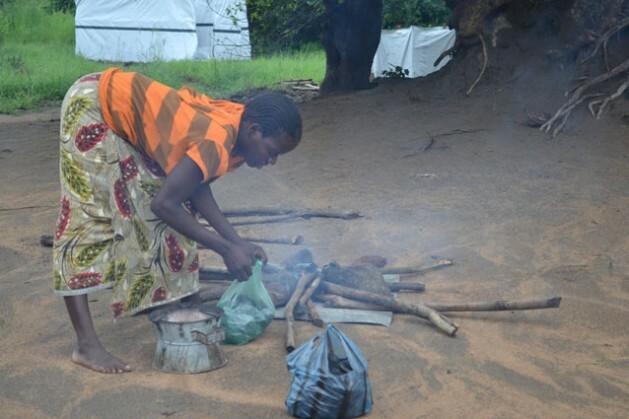 “We all know that nutrition is an issue in Malawi and that agriculture has a role to play in contributing to improving nutritional status of children, women and men,” Rolle says. “It is now time to identify which existing agricultural programmes have potential to become much more nutrition sensitive,” she adds. In 2008, FAO and the Malawi government started implementing a project titled Improving Food Security and Nutrition Policies and Programme Outreach (IFSN). One component of the programme was to roll out a comprehensive nutritional education programme targeting families with infants between 6 to 24 months to prevent malnutrition. With financial support from Flanders International Cooperation Agency (FICA), the programme targeted two districts — Kasungu, just 100 km from the capital Lilongwe and Mzimba in northern Malawi. “Before the programme started, many infants used to get sick. Mothers, most of them peasant farmers, used to struggle, which affected their yields because they spent more time at hospital nursing their sick children than in their gardens,” Chitaya says. But he says the story is now different. Kondwani Phiri, 32, of Yosefe Village, a mother of four, has nothing but praises for the programme. “This project has changed my life. My children are healthy and happy because I now know what to plant in my gardens to have nutritious food for my family,” Phiri told IPS while preparing a meal for her children in the scorching November heat. But she is worried that if the rains delay any later this year, she may lose all the gains she made in the last few years. Malawi is among countries in Africa forecast to experience drought in the central regions and flooding in the southern regions as a result of the El Nino weather pattern. Loveness Matola, another happy mother, expects a tough year as a farmer because rains have already delayed, but she is confident she will pull through and have enough food for her family. “This programme allowed me to enroll my child under the Infants and Young Children Feeding Programme. I no longer worry because I now know how to grow nutritious food from my garden,” she said. With support from Extension Workers, Health Surveillance Assistants and Volunteer Community Facilitators, Phiri and Matola, together with other mothers, have been taught how to make a nutritious porridge out of three or four ingredients grown in their gardens. The porridge contains a starchy food such as mashed potatoes, cassava or maize flour; a high protein food such as beans, groundnut flour, fish or meat powder or goat milk, mixed with a vegetable, for example pumpkins or leafy vegetables and a fat such as avocado oil. Mango or any other fruit is served to complete the daily recommended five-food groups for the child. Among other focus areas, the project has taken on board the promotion of livestock production; climate change, natural resources and environmental education; capacity building and institutional support; increased crop production and diversification; promotion of fruit production; soil and water conservation; potable water and improved sanitation, and other cross-cutting issues such as gender, malaria and HIV. This is not the only intervention that FAO and the Malawi government are implementing to improve nutrition across the country. “Strengthening School Nutrition Education and School Gardens” is the name of another initiative being implemented. The Malawi government, FAO and the Brazilian government signed a trilateral agreement with three main components namely: reviewing the School Health and Nutrition Strategy Plan, Nutrition Education and Integration of Nutrition Education and School Gardens. FAO’s School, Food and Nutrition Specialist, Dr Andrea Polo Galante explained that the initiative aims to improve nutrition education, which focuses on more food and eating well. According to Thoko Banda, Chief Director for the Ministry of Education, the review is earmarked to make recommendations to incorporate in the curricula of Teacher Training Colleges.